Fits: 1999-'18 HD® Twin Cam 88®/96™/103™ , 2017-'19 M8 and all X-Wedge®. The most important thing you can do to maximize the life of your engine is to keep your oil clean. Friction wear particles and combustion by products that are picked up by your motor oil. Regular oil changes are essential to keep contaminants from accumulating, but from one oil change to the next, your oil filter is your first line of defense against these wear causing particles. Make sure you have an S&S oil filter working for you. It also captures smaller particles than stock filters. Low restriction to oil flow. Direct bypass - bypass oil does not pass over dirty filter media. 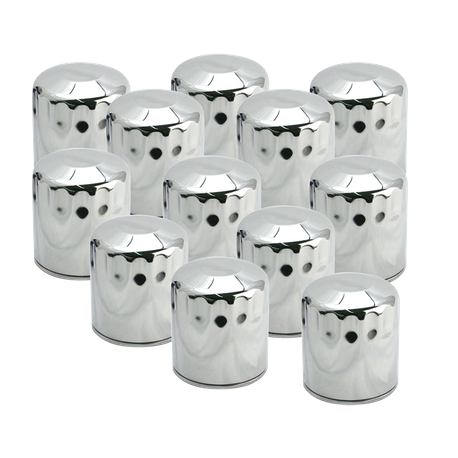 Smaller diameter for easier installation.12 pack of Chrome filters with 10µ.